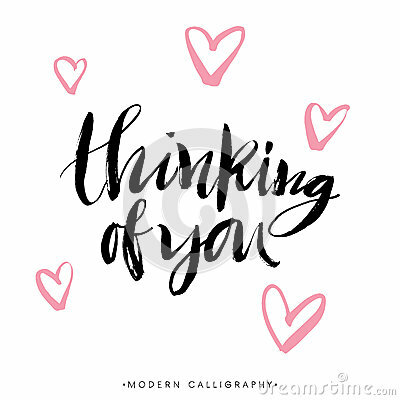 Thinking of you. Modern brush calligraphy. Handwritten lettering. Thinking of you. Modern brush calligraphy. Handwritten ink lettering. Hand drawn design elements.